Homeopathy is used in this Coral Gables acupuncture practice as a therapy that can enhance treatment success in certain situations. With pain patients homeopathy can be used in several ways; one is to apply some topically to the area, second is to take an oral preparation to help with the cause of the pain, third is to put a remedy into the painful area directly by either dipping needles into preparations or injecting them, and injecting solutions into acupuncture points can be done as needed. All four application methods have there use depending on the symptom, location of problem and on the patient themselves. Remedies are chosen specific to the cause of the problem involved in order to aid in the treatments effectiveness. Homeopathy can be used orally or by injection for problems other than pain. Mildly detoxing the body with homeopathy is done easily and effectively as the patient makes changes in life style and diet. This sometimes precedes other treatments so remaining symptoms are addressed after toxins have been eliminated. This detoxifying protocol allows the body to rid itself of built up toxins, as well as eliminating toxins one is exposed to currently. For curtain symptoms homeopathy is available in this alternative medical practice and is used when needed along with acupuncture and herbs to best suit each treatment and each individual patient’s needs. The cause of each patient’s symptoms are different as is the protocol needed in order to balance the body and have it functioning optimally. Homeopathy is the use of similars to treat a cause of a symptom. Homotoxicology is the type of homeopathy used in this practice. This is the use of remedies that have multiple ingredients in one formula in order to balance the patient. This theory includes detoxifying, and balancing the patient’s system to promote optimal functioning of the body and aid healing of the patient. 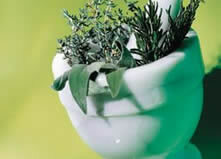 Homeopathy is used along with or instead of herbs, depending on the patient’s sensitivity, and age. Homeopathy is gentle and can usually be handled well even by those that have trouble tolerating herbs. This benefit allows our practice to treat and improve the health of all patients, at all times in their lives.